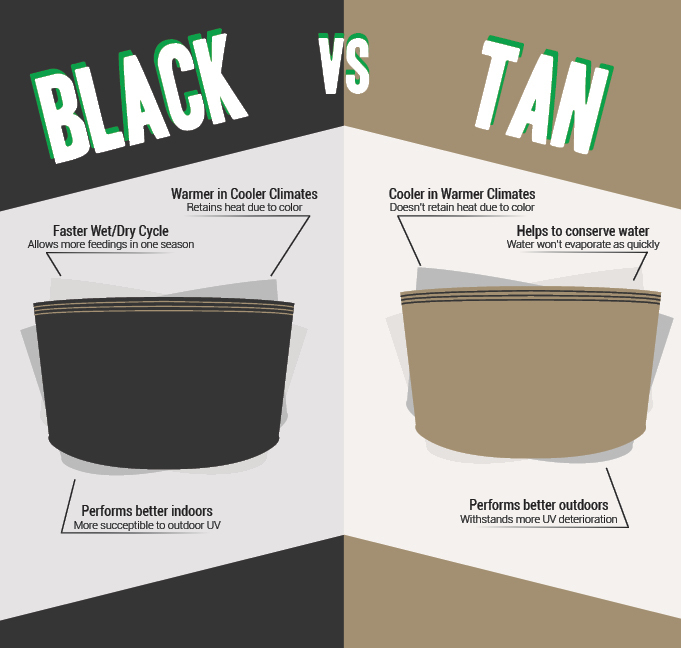 Its good to get to learn something new everyday .I didn’t know there’s a difference between black and tan bags .I have always planted in soil bags .All you need to do is cut the top part and start planting .No digging pruning weeding or fertilizing the ground .Its really interesting to get to know there’s actually more to this thank I thought . I have been planing to purchase planting bags for my potatoes and I feel like after reading this I can day I am in a better position to make an accurate more informed purchase .Thank you so much for the article . If I wrap the black pot with light fabric (loosely) will this offset the sun Drying them out quickly? Yes, that should keep them cooler! you can also spray/mist the outside of the pots to help keep them cool. as the water evaporates it will cool. just like us when we sweat. hope this helps. What would be the best ONE for like Indoor no till growing. And also do the shallow soil saver work with no till living soil. Thanks. I would suggest and say check out our new Living soil pots for no-til they were made to hold the moisture in and make the soil drain like native soil. For a long term living soil system we also suggest a minimum of 30g of soil per container. We have seen people very successful in smaller sizes but its more difficult to maintain the soil moisture the smaller the pot is. So depending on the space available we can usually find a stock size like a 4×4 living soil raised beds or a 30g – 100g living soil pots to fill the space for multiple plants.